Author Of The Week: Chat with Amy Rose Capetta/Cori McCarthy (Once & Future), Plus Giveaway! 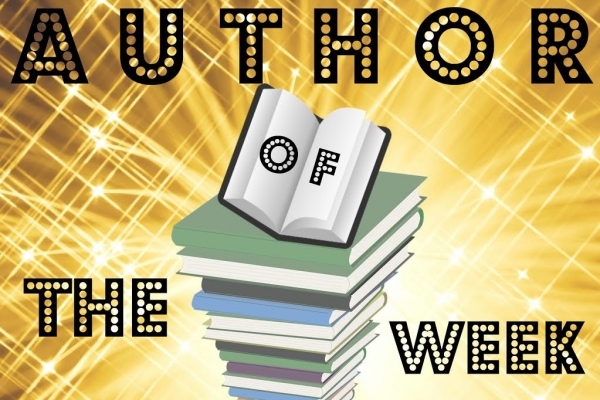 Introducing Amy Rose Capetta & Cori McCarthy, YABC's Authors of the Week!! Ari Helix has been chased her entire life. An fugitive refugee in territory controlled by the evil Mercer Corporation, Ari has always had to hide who she is. Until she crash lands on Old Earth, pulls a magic sword from its ancient resting place, and becomes the forty-second reincarnation of King Arthur. The wizard Merlin awakes to find that having aged backward over the centuries, he is now-wretchedly-a teenager. Training the girl king may be Merlin's final chance to break the curse that keeps Arthur coming back - before Merlin himself blinks out of existence. He just needs Ari to embrace her destiny as the ruler who will unite a galaxy against a corrupt, tyrannical government and bring peace and equality to all humankind. Click Here To Pre-Order Once & Future! I love the Knights of the Rainbow so much that it would be too hard to pick one! But I want to mention how much fun it was to write Morgana. Getting to include a powerful enchantress from Arthurian legend in our space fantasy reboot was a fantasy writer’s dream. Setting her up as Merlin’s eternal nemesis put us in a place where we could write these great magical standoffs. But she isn’t a cardboard villain at all. We have a lot of love and understanding for Morgana. And her character surprised us the most as we wrote the story. This book has been Once & Future since before it had its first chapter. The title was just too…perfect…to ever change. Yes, it brings to mind T.H. White’s masterpiece, but it’s also illustrates the two point of view characters, Ari and Merlin. Merlin is the past; he brings all his baggage of human history and corruption and disunity. Ari is the future; she is wild and true and unburdened by the happenings of Old Earth…until the story unfolds, and both characters realize that the past and the future are linked, for good and ill. I learned that co-written books aren’t like writing half a book, workwise. They’re more like writing two books. I also learned that if you’re writing your book with your best friend and significant other, you’ll never get caught in doubt or story doldrums in the same way that you do when you’re writing alone. Yes, there’s still work to do, but there’s always someone to talk to about what comes next. I love that the cover of this book isn’t simply a picture, but a 3D statue that was created by artist Bill Ellis. You’re definitely familiar with his work; he’s done everything from Leigh Bardugo’s King of Scars to Ibi Zoboi’s Pride. Look him up! His sculptures are gripping and gorgeous. It would be impossible to limit this to just one, because I’m looking forward to everything about this amazing explosion of LGBTQ genre fiction that’s happening right now. A few spring titles that stand out to me as I’m writing this are: Death Prefers Blondes by Caleb Roehrig, We Set the Dark on Fire by Tehlor Kay Mejia, and The Devouring Gray by Christine Lynn Herman, but there are so many more coming. Cori: I can’t say much about it yet, but look out for news about something quite exciting, futuristic, and fun, with an ensemble cast in a middle grade series-sized package! Amy Rose: I have a standalone YA coming out in May called The Lost Coast. It’s a contemporary fantasy about queer teen witches in the redwoods of Northern California, one of whom has magically gone missing from her body. Think twisty, atmospheric mystery with spells everywhere you turn. Drafting Once & Future was pure joy. Cori and I got really immerse our brains in the story since we live together, and we were always making little deals: I’ll make dinner if you go write a chapter for me. That first draft built at an exponential speed because we were just piling chapters up twice as fast as we could write them alone. Also, we let ourselves write unlimited jokes and banter in the rough draft. That’s how it ended up overwritten by 30,000 words! Revising this book took a lot of story reconfiguring and many more drafts than we usually do on our own but being open to big changes was definitely worth it. Cori: My super power is story structure. That sounds like a logical and not-so-enticing superpower, maybe, but I have found that there are deep emotions within the current of well-paced story, emotions that come through our ingrained sense of story structure. A three-act formula for good, so to speak. Amy Rose: My super power is metaphor. My brain is made of metaphors. It’s actually hard for me to think in a straight line. Love this cover! Can't wait to read it! The cover is pretty and cool. The synopsis is very captivating. This book is on my to read list. I really like the idea of a King Arthur retelling set in the future and about a girl. I think this book sounds so cool and the cover is really eye-catching! The cover is powerful. I love the idea of a King Arthur retelling with the king being a girl. The cover is beautiful and matches this exciting synopsis with one of my favorite stories retold. I like the colors and design of the book cover. I think I will like the setting and characters in this interesting fantasy adventure. The cover is so unique and beautiful! I love retellings, and this sounds like it's going to be pretty freaking amazing! Can't wait to check it out!